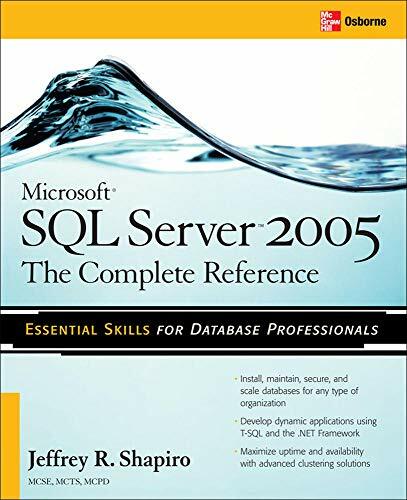 Learn how to create tables belonging to your new database in this excerpt from the book SQL Server 2005: A Beginner's Guide. The next task after the creation of a database is the creation of all tables belonging to it. Again, you can create tables by using either Object Explorer or Transact-SQL. To create a table using Object Explorer, right-click the subfolder Tables of the database, and then click New Table. The creation of a table and all other database objects using the Transact-SQL language will be discussed in detail in Chapter 4. To demonstrate the creation of a table using Object Explorer, the department table of the sample database will be used as an example. Enter the names of all columns with their properties in the New Table dialog box. Column names, their data types, as well as the NULL property of the column, must be entered in the two-dimensional matrix, as shown in Figure 2-7. The column dept_no is the primary key of the department table. (For the discussion of primary keys of the sample database, see Chapter 1.) To specify a column as the primary key of a table, you must first right-click the column and then choose Set Primary Key. Finally, close the component window with the information concerning the new table. After that, the system will display the Choose Name dialog box, where you can type the table name. To view the properties of an existing table, first double-click the folder of the database to which the table belongs. Subsequently, double-click Tables, and then right-click the name of the table and choose Properties. Figure 2-8 shows the Table Properties dialog box for the department table. To rename a table, double-click the Tables folder and choose Rename. Also, to remove a table, double-click the Tables folder in the database to which the table belongs and select Delete. To create the E/R- model of the sample database, right-click the Database Diagrams subfolder of the sample database folder and then select New Database Diagram. The first (and only) step is to select tables that will be added to the diagram. After adding all four tables of the sample database, the wizard completes the work and creates the diagram (see Figure 2-9). To create each of the relationships described above, you have to redesign the diagram with the column that corresponds to the primary key column of the other table. (Such a column is called a foreign key.) To show this, you can use the employee table and define its column dept_no as the foreign key of the department table. Click the created diagram (it is called sample_diagram in our example), right-click the graphical form of the employee table in the detail pane, and select Relationships. In the Foreign Key Relationships dialog box, select Add. Expand Tables and Columns Specification and click . . . In the Tables and Columns dialog box, select the table with the corresponding primary key (the department table). Choose the dept_name column of this table as the primary key and the column with the same name in the employee table as the foreign key and click OK. Figure 2-10 shows the modified sample_diagram diagram after all three relationships in the sample database have been created.